Former Director, Directorate General for Competition, European Commission, Brussels. Professor, Trinity College Dublin. Dr. Temple Lang studied wildlife conservation in the USA, Canada, Europe and Ghana and has been involved in most major wildlife conservation developments in Ireland since 1964. He drew up detailed recommendations for comprehensive legislation based on the laws of countries throughout the world, which were agreed by all Irish national sporting and conservation bodies and form the basis of the Irish Wildlife Act 1976. Organised An Taisce’s case to protect the North Bull Island Bird sanctuary in 1972-73. Secretary, Irish Society for the Protection of Birds 1959-1961, 1964-1967. Chairman, Irish Ornithologists’ Club 1966-67. Member, Irish Wildfowl Committee 1967. Irish Wildbird Conservancy: Secretary 1968-1972, Chairman 1972-74. Member, Irish National Section, International Council for Bird Preservation (now Bird Life International). An Taisce: Nature Conservation Committee 1966-70, Executive and Council 1970-73. Chairman, European Continental Section, ICBP 1980-84. Co-secretary, Standing Committee on Applied Ornithology, International Ornithological Congress 1986-1994. Member, International Council for Environmental Law. Dr Temple Lang has authored many articles on bird and nature conservation in e.g. Biological Conservation Administration, British Birds, European Law Review, Le Gerfaut, Irish Bird Report, Irish Naturalists’ Journal and Sandgrouse; also in Promise and Performance ed. by J. Blackwell (1983), Environment and Development in Ireland by J. Feehan (1992), Peatlands, Economy and Conservation by M. Schouten (1990), Riverine Forests in Europe ed. by C. Imboden (1987), and introduction to Conservation of Lowland Dry Grassland Birds in Europe ed. by P. Goriup et al (1991). Organiser, ICBP World Seabird Conference 1982. 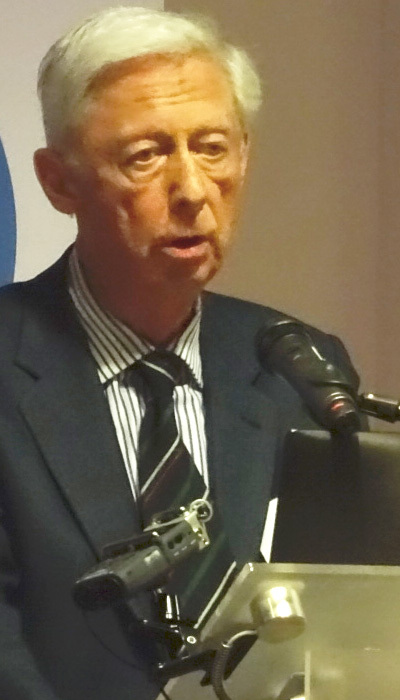 Dr Temple Lang was involved in drafting the European Directive on Wild Bird Conservation and the Directive on Habitat Conservation, and advised the European Commission on the Vienna Convention on the Ozone Layer and the Montreal Protocol. Member of steering committee for Grimmett and Jones, Important Bird Areas in Europe (1989).